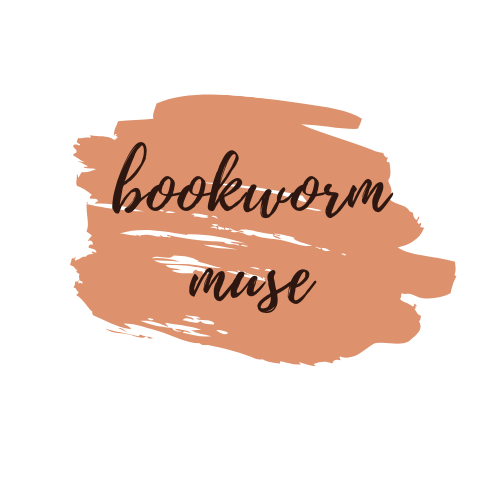 I can’t believe that I have been blogging for about a year now and I haven’t done this tag before. For shame! I mean, me a pretty dedicated fan of all things Tolkien and I haven’t done this before? Should I be worried about getting my fangirl badge taken away? I hope not. In any case, I think I saw this tag over on Tracey’s blog Cornerfolds and immediately knew that I had to do it. It was only right and my responsibility as a fan, really. I mean, at this point, do you guys really still doubt whether I am a Tolkien fan or not? I have managed to grab and read as much of Tolkien’s works as possible. Granted, there are still some books that I haven’t read but hey, it’s always in the tbr. That counts, okay? So, without further babbling, let’s get on with it, shall we? I think as I was reading Harry Potter, my best friend or maybe it was my cousin recommended The Lord of the Rings. Telling me that I will probably like it, oh, how she underestimated both Tolkien and me. Oh well. Oh boy. This is a tough question and other than the obvious answer (The Hobbit), I think my favourite will have to be The Return of the King. So much happens in this one and my heart breaks and mends and just….U G H. It’s the best book, okay? Oh man, this is gonna be hard because for once, the movies are almost as good as the books and it’s so terribly hard to choose from the three absolute gems. But if I absolutely had to pick one, it would be the first one because no matter how brilliant the next two movies are, without the first one, people wouldn’t have returned to Middle Earth. So, The Fellowship of the Ring is the one for me. It will always be books for me but I admit to binging on those movies too! Because they are not only a visual delight, they are also fairly true to the books and I am so glad for that. I can understand why people might choose movies in this one because the books are a bit more on the meandering side than being to the point. Is this trying to kill me? I mean, how do you choose your favourite characters from such a long list? There’s Frodo, the lad trying his best, then there’s Samwise Gamgee, the very best gardener and best friend in all of Middle Earth. There’s Boromir and Aragorn and Gimli and Legolas and Faramir and the list goes on and on, okay? Don’t ask me this. This is not even counting Eowyn and Galadriel and Arwen, yes, exactly in that order. So, no, I can’t decide. But! Samwise Gamgee does hold a very dear place in my heart so let’s go with him for now. Definitely Hobbit! I mean, you eat a ton during the day, you can drink at night, work hard during the day and just enjoy a life without much peril? The only thing you might need to worry about is your relatives, distant and otherwise, that’s fine by me. It’s the Hobbits for me, for sure. I am tiny enough to be considered one. Well, maybe something between a Hobbit and a Dwarf. I think everyone was pretty amazing perfect in being cast for their characters but maybe Saruman by Sir Christopher Lee was pretty much perfection as well the hobbits, especially Samwise played by Sean Astin. There are three places I can’t choose from. First is very obvious, the Shire, it seems to be such a wholesome place. Peace without it being too dull (nosy Hobbits will be nosy, after all) and just overall, a good place to be. Then there’s Imladris, Rivendell. That’s the place I badly want to visit even now because there’s a pretty epic library there and there’s music halls and gardens and it just sounds like my kind of place, okay? Then there’s Erebor, the way it’s described before and after sounds amazing, and just imagine, going into the mountain and looking at an entire kingdom. Wouldn’t that be absolutely amazing? There’s one that’s always stuck with me and I doubt it will ever be forgotten. It gives me hope and at the same time, gives me a realistic idea of what life generally is like. 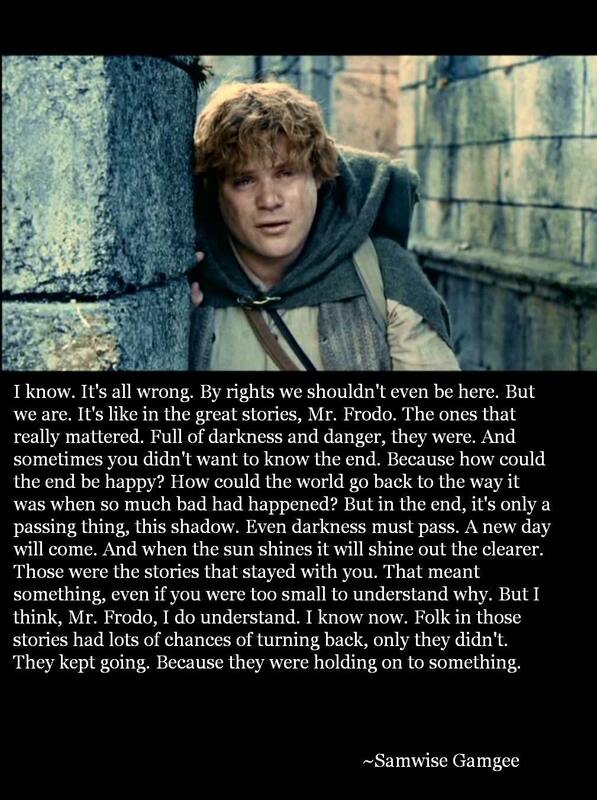 This is just one of the reasons I love Samwise Gamgee so much. And that’s it for this tag, Lord of the Rings will forever remain in my heart as something incredibly special. Any works of Tolkien will forever be my favourite by default, sure, not all of his works are easy to get into but once you are there, you can see how much he thought before putting his thoughts on paper. This was a bit more hard than I thought it would be I am so glad that I finally got around to it. I am not quite sure who else is as much of a Tolkien nerd as I am apart from a very few people who have already done the tag so if you are a Tolkien fan and haven’t been tagged by anyone, consider yourself tagged. Previous Post In The Land of e-ARCs! Ah! I love this tag! Defiantly doing it too! Great answers! Yes! Can’t wait to read your answers! Ooh, what a great tag! I haven’t seen this one before! I also really love that quote from Sam. So much wisdom! I didn’t know about this till last week either and I am so glad I finally stumbled onto this one. And yes, that quote of Sam’s, at the exact time needed and just fills me with all feels. I adore Tolkien but like you, I can’t give a single answer to most of these questions. Part of the reason I love LOTR is that there’s so much there to love!